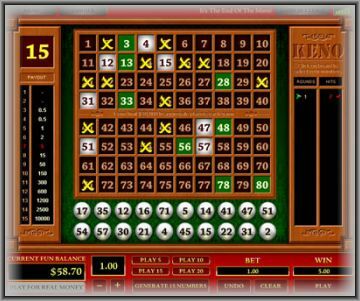 You are here: Home › Startegies › Tips to Win Keno Like a Boss! Tips to Win Keno Like a Boss! You need to be clear about the number of spots you want to pick or start off with. The formula is simple, if you have plenty of numbers, your chances of winning will also be higher. You cannot expect to hit the jackpot with just one or two numbers. However, if you pick many numbers, you will also have to make a greater match. For example, you will need to break even with 5 matches in case you pick 15 numbers, but the matches will come down to 2 if you choose 5 numbers. Quick tip: select any number between 3 and 8. Don’t give it your all the very beginning. Be calculative, test your luck, analyse all the probabilities and then go big, after a couple of rounds. Many experienced players advice to stick to the same set of numbers between rounds, as if not in the present round, the numbers may be called out in the next round. Most importantly, it is all about having fun, so don’t sweat it out even if you don’t win big!